The 4th edition of Pres. Gloria Macapagal Arroyo Cup unveils today, September 24 and will run til the 29th at Duty Free Fiesta Mall in Paranaque City, Metro Manila, the Philippines. 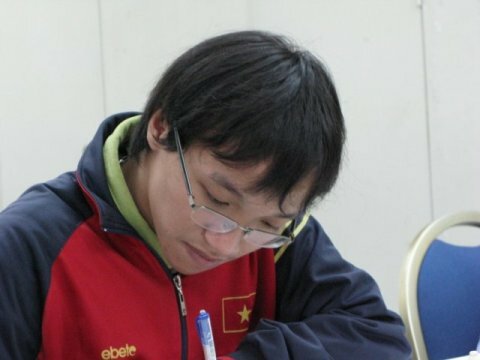 Defending champion and Asia’s first ever chess grandmaster, Eugenio Torre (2535), together with top seed Mikheil Mchedlishvili (2613) of Georgia, Zhang Zhong (2606) of Singapore and newly crowned 2009 Kolkata Open champion, Le Quang Liem of Vietnam will spearhead the strong cast that attracted nearly 100 participants from all over Asia and Europe. This week-long event is being organized by the National Chess Federation of the Philippines (NCFP). GM Wesley So will miss this years edition of the PGMA Cup as he is currently competing in 2009 SPICE Cup in Lubbock, Texas. The champion will received the top prize of $6,000 out of the total prize fund of US$ 40,000.